Following pregnancy, a woman’s body may have stretch marks from the increased burden on the abdomen. Additionally, this skin may not fully contract to its original position, leaving patients with loose, sagging skin. Dr. Rahban can reveal your pre-pregnancy body after losing a lot of the baby weight with a post pregnancy tummy tuck. 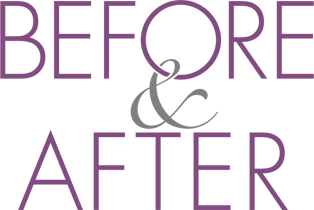 In Mommy Makeovers, body procedures are designed to restore smooth contours and a toned appearance. With thorough planning, our Beverly Hills Mommy Makeover combines both body and breasts procedures for the ultimate restoration. Mommy Makeovers can even include procedures that aren’t directly related to pregnancy, including facelifts, rhinoplasties or facial fillers. A very common & cost saving combination is the Mommy Makeover tummy tuck and breast augmentation. Other combinations we provide include the breast lift with tummy tuck and the trio breast augmentation, breast lift, and tummy tuck. The goal is total rejuvenation for patients who deserve it most. Dr. Rahban provides some of the most beautiful results from his Los Angeles Mommy Makeover. While the breasts swell to accommodate breast-feeding, they often retract to a smaller volume than they were before. This leaves an empty skin envelope that is less than flattering. Dr. Rahban can take advantage of these pockets for a Mommy Makeover breast lift or breast augmentation after pregnancy. It also often helps women look better than they did before pregnancy. As a recognized authority on Mommy Makeovers, Dr. Rady Rahban has seen many botched Mommy Makeovers in Los Angeles and as such, has felt compelled to share his insights with potential patients. This manual comes from a Mommy Makeover surgeon who not only has performed hundreds of successful Mommy Makeovers, but who has also corrected countless procedures performed by other plastic surgeons. You can view his corrective breast surgery gallery to browse a sample of the kind of quality work he does. His purpose is to help patients get it right the first time, preventing the need for complex, distressing and costly corrective surgery that will ultimately never be as good as it would be the first time. If you are considering a Mommy Makeover, please take the time to read through Dr. Rady Rahban's Mommy Makeover Manual, no matter who you ultimately decide on to proceed with your procedures. From the moment mothers meet him, they routinely say there is something different about Dr. Rady Rahban. They wonder if it’s just his friendly demeanor or his ability to listen. While these are definitely true, they are just incidental qualities that stem from his basic philosophy and approach. Dr. Rahban spends an unexpected amount of time with each patient, making sure she understands every phase of her Mommy Makeover. The more she knows, the more she is in control. To Dr. Rahban, nothing is more important than earning the trust of his patients, and it is this connection that allows them to undergo Mommy Makeovers with confidence and ease. 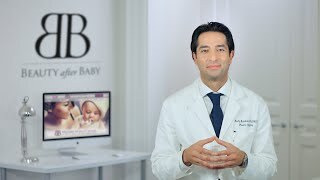 Learn about Dr. Rahban’s unique approach and advice through his Mommy Makeover procedural videos. These step by step videos are filled with pearls and crucial information on Mommy Makeovers that you may not find anywhere else. More often than not, the highly informed and engaged patient is one to have great results and overall experience with their Mommy Makeover. 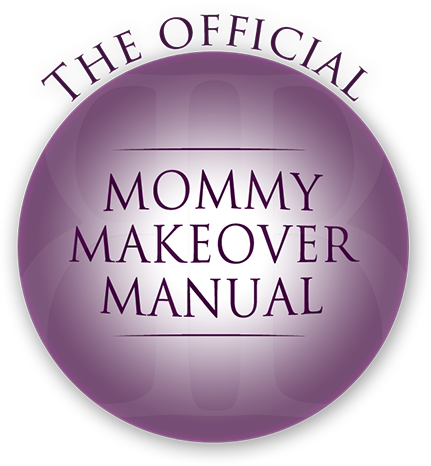 Get excited and start exploring the world of Mommy Makeovers! Dr. Rahban is committed to educating you and bringing your body back through arguably the best Mommy Makeover Beverly Hillshas to offer. When first considering breast enhancement procedures after having kids, many patients are uninformed. During these beginning stages, patients should know that accurate analysis is a keystone to a beautiful and natural outcome. Dr. Rady Rahban is well versed in the full array of breast enhancement procedures, allowing him to help new mothers regain their pre-pregnancy figure. While some mothers may desire an increase in volume, others may only want a lift. Dr. Rahban specializes in helping his patients choose the option that is truly best for their circumstances. Dr. Rahban's careful attention to detail and care for his patients is what allows him to customize a precise procedure or set of procedures for each individual mother, bringing a mom one of the best Mommy Makeovers Los Angeles has to offer. Dr. Rahban has vast experience not only in primary breast enhancement surgery, but also in correcting mistakes made by previous plastic surgeons. This means that if you had a breast augmentation prior to your pregnancy that you are unhappy with, he can help correct the result and achieve your ideal outcome. Whether Dr. Rahban is performing a revision surgery or your first breast procedure, he has an intimate awareness of potential complications, giving him the skill and compassion to avoid them at all costs. His extensive experience with breast augmentation, lift, reduction and revision has helped him become a leader in Mommy Makeovers. Since the breasts are one of the first parts of a mother's body to show signs of child-bearing, this is the most common area concern for mothers looking into a Beverly Hills Mommy Makeover. Breast augmentation after a pregnancy is among the most popular plastic surgery procedures available. Through the use of breast implants, breast augmentation enhances the size and shape of a patient’s breasts. For new mothers considering breast augmentation, it’s important to know this procedure will not lift the breasts. For this reason, a breast lift is often included in their Mommy Makeover, allowing mothers to get the most out of their procedure. A Mommy Makeover breast lift allows patients to raise and reshape breasts that have begun to sag. Through the aging process, or through pregnancy, the breast skin loses elasticity, causing them to droop from their previously perky shape. A breast lift is designed to elevate the breasts and give them a more youthful appearance. A breast lift after pregnancy is frequently done in combination with a Mommy Makeover breast augmentation, giving patients added volume in addition to a higher and more youthful breast position. For some women, the swelling and added volume from their pregnancy stick around well after the baby has stopped breast feeding. When a woman has overly large breasts due to this circumstance, breast reduction reshapes the breasts and removes excess tissue. This procedure makes the breasts smaller, lighter and firmer. Because large breasts are often a comfort issue in addition to cosmetic, patients who receive breast reduction experience a drastically improved quality of life. They are no longer concerned about a disproportionate appearance, and they no longer experience the physical discomfort that comes with large breasts after breastfeeding. Dr. Rahban is a Mommy Makeover surgeon who cares greatly for his patients’ well being—not just whether they pull out their wallets. As such, he maintains a high level of scrutiny for patients who desire body contouring. Rather than simply performing any procedure demanded of him, he takes the time to craft a well-rounded Mommy Makeover program to ensure his patients’ continued health as well as cosmetic beauty. If Dr. Rahban accepts you for body contouring, it is because he is confident it will help every aspect of your body. In performing the Mommy Makeover procedures below, Dr. Rahban is a true perfectionist. As one specific illustration, he takes as much time as necessary to close incisions so the resultant scar is virtually invisible. While other surgeons may have a surgical technician close for them, Dr. Rahban is the only one who will touch you. In plastic surgery, it is crucial that you have a surgeon who takes all the time necessary to get a good result. When a mother has lost significant weight in the tummy or flanks after giving birth, there is often excess skin that has failed to retract to the new, slimmer contours. In such a case, a post pregnancy tummy tuck is the correct procedure. A tummy tuck removes excessive skin around the waistline and love handles, restoring the skin to a tight and toned appearance. A postpartum tummy tuck is also helpful in correcting the separation of abdominal muscles, which can occur after pregnancy. Liposuction for a Mommy Makeover is a fat-removal procedure that eliminates stubborn pockets of fat that do not respond to diet and exercise. Liposuction can be used on many different parts of the body where fat can build up. In delivering liposuction, Dr. Rahban considers the entire physical frame, not just one problem area. In this way, he can ensure the results are proportional and flattering, helping his patients to move forward with a slimmer, more toned and more beautiful body. Following pregnancy, the labia can become stretched out or torn. This results in a non-optimum cosmetic appearance as well as discomfort when walking or crossing the legs. To correct this, a labiaplasty is a surgical procedure to repair and reshape the labia. With this rejuvenating procedure, women restore their labia to their rightful shape and position, allowing them to move forward from issues in this area.